The Pinjara (Pinja, Penja, Bahna or Dhunia) derive their name from the term pinjala meaning 'cotton weaver.' Their traditional occupation is naturally one of cleaning and reeling cotton to make pillows, quilts or even mattresses. The over 3 million Pinjara can be found either Muslim or Hindu. It is believed that the Muslim Pinjara converted to Islam about 500 years ago during the reign of Emperor Aurangzeb. The Pinjara can today be found in India, Nepal, Pakistan and Bangladesh. They live in over 500 districts of India and Nepal and speak more than a dozen different languages depending on their location. 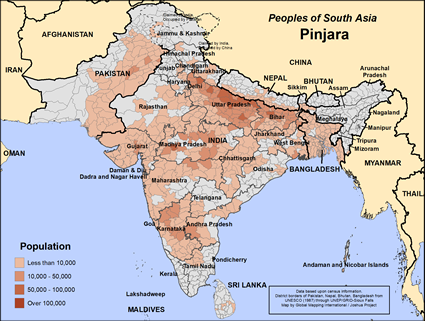 The Pinjara speak primarily Bhojpuri, Nepali, Maithili and Urdu. Although they are well over 90% Muslim the Pinjara can be found to keep Hindu festivals, even making vows to Hindu gods. The Pinjara are not vegetarian though do not eat pork. 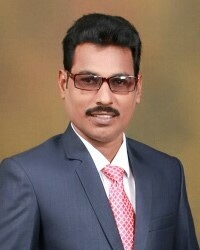 They occupy a higher than unclean status and can be found as both skilled and unskilled workers. Very little ministry activity has been focused on the Pinjara. Many Urdu resources are available although there is a severe lack of workers to this sizable Muslim group in India and Nepal. Pinjara are sometimes looked down on religiously because of their mixture of Islam and Hinduism beliefs. Pray that the Truth could be known and celebrated in Nepal. View Pinjara in all countries.